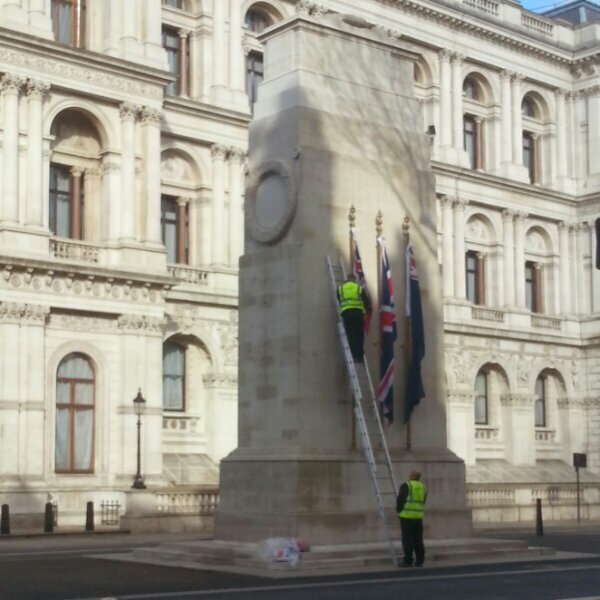 I’ve always sort of assumed that the changing of the flags on the Cenotaph would be something the army would do, probably with a little ceremony. It turns out that it’s actually done by a couple of contractors who turn up with a ladder and a van early in the morning. This 2,193rd post was filed under: Photo-a-day 2014, Scrapbook.